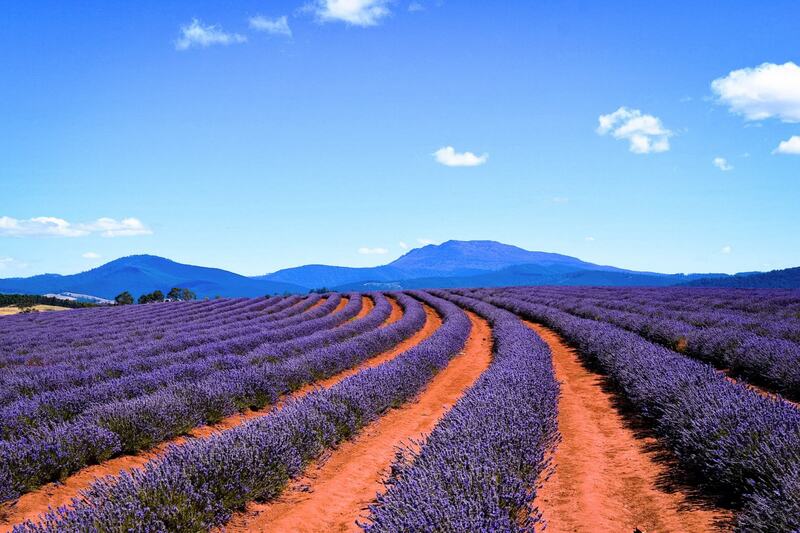 Alice Springs has long been considered the gateway to Australia’s amazing Red Centre, where the sun is always shining and the soil glows an iconic red. For a long time, Alice Springs tourism thrived as the gateway to Uluru with the only airport in Central Australia. However, since the opening of Ayers Rock Airport in 2013, tourism in Alice Springs has been on the decline, with visitors favouring the close by airport to the 6 hour drive through the desert. We are not normal visitors though. We planned our trip to Ayers Rock with a detour through Alice Springs for a few different reasons. 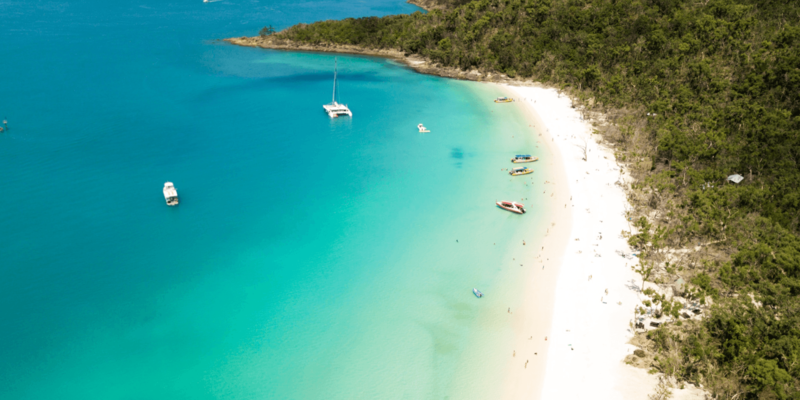 The first is that we love road trips, so a long drive through the desert sounded great to us – and I was secretly on the lookout for one of those million camels that are apparently roaming around the Aussie outback. And the second was that we were just dying to visit The Kangaroo Sanctuary, the home of Kangaroo Dundee and a family of adorable orphaned kangaroos. Although it might seem like a small country town, Alice Springs is actually the second largest town in the Northern Territory after Darwin. 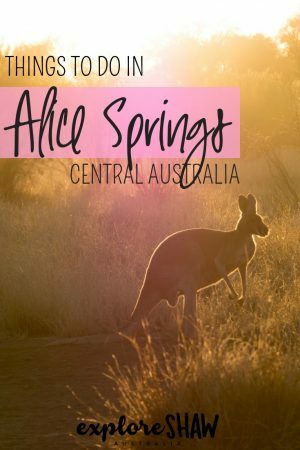 There are actually so many different things to do in Alice Springs, it’s definitely worth spending a few days here to explore. For those of you who like a little more adventure, here’s everything you need to know about Alice Springs. There are now flights to Alice Springs airport flying direct with Qantas from most major cities in Australia, with Virgin Australia also offering direct flights from Darwin and Adelaide. 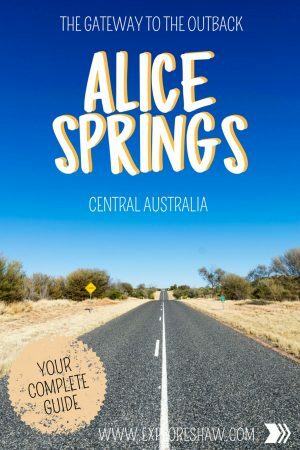 If you’re road tripping, Alice Springs is pretty much in the centre of Australia, and about a 16 hour drive away from anywhere. 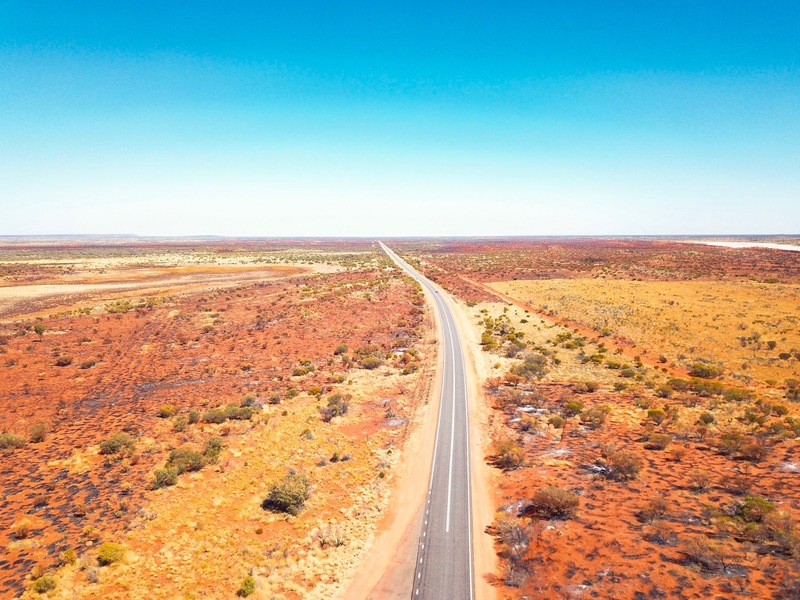 There are regular petrol stations, roadhouses and small towns along the major highways that connect Alice Springs to both Darwin and Adelaide, but make sure you’re prepared with extra fuel and reading all road signs just in case. You can find every level of accommodation in Alice Springs, from desert luxury to free camping grounds. 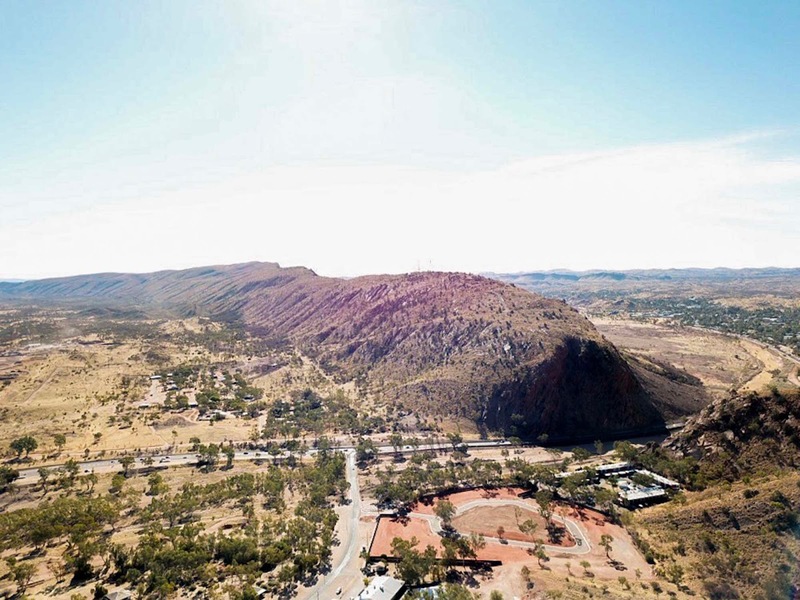 For luxury hotels you can check out Lasseters – Alice’s only casino complex with rooms decorated in Aboriginal art and beautiful views over the MacDonnell Ranges. There are also several comfortable and affordable hotels in the area including the DoubleTree by Hilton and the Desert Palms. If you’re travelling with a caravan or campervan, we can highly recommend the Big 4 MacDonnell Range Holiday Park. The park was big and spacious, and offers all sorts of fun activities for guests including pancake breakfasts on Sundays, didgeridoo shows on Saturdays, cheese and wine night on Firdays and local live music on Wednesdays. The facilities were clean and modern and it was really just a lovely place to stay. You can find out more about the park at their website here. West MacDonnell Ranges – if you’re looking for a great campsite in the ranges we stayed at Ellery Creek Big Hole. It was only $6.60 per person for the night and included a flushing toilet, BBQ facilities and fire pits ready to do. The campsite was spread out enough that you didn’t feel like you were on top of other families, and small enough that it was nice and quiet and relaxing. Monte’s Lounge – for a very unique, outdoor, circus feel with a large beer garden and no walls. A great place to grab a drink, burger and a booth and watch the footy or dance the night away to a live band. Red Ochre Grill – specialising in Australian seafood, Australian game meat, bush food and regional Australian cuisine. 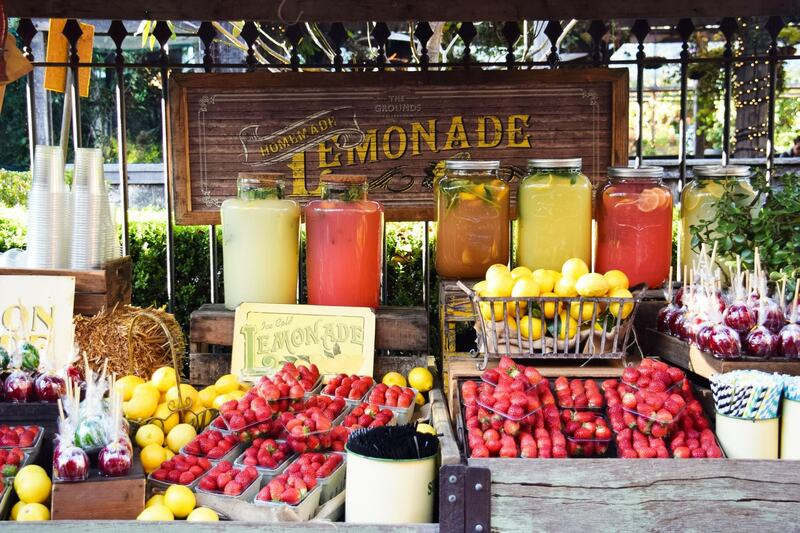 The menu also offers traditional native fruits and berries and the best of Australian beers and wine. The Overland Steakhouse – a very Australian themed bar with a menu consisting of emu, crocodile, camel, barramundi, beef and kangaroo, as well as delicious wines. The Juicy Rump – offering a spacious deck and beer garden right beneath the beautiful MacDonnell Ranges. Barra on Todd Restaurant and Bar – with the widest variety of barramundi dishes, Barra on Todd was Alice’s first seafood inspired restaurant. They also offer live music from local bands each night. 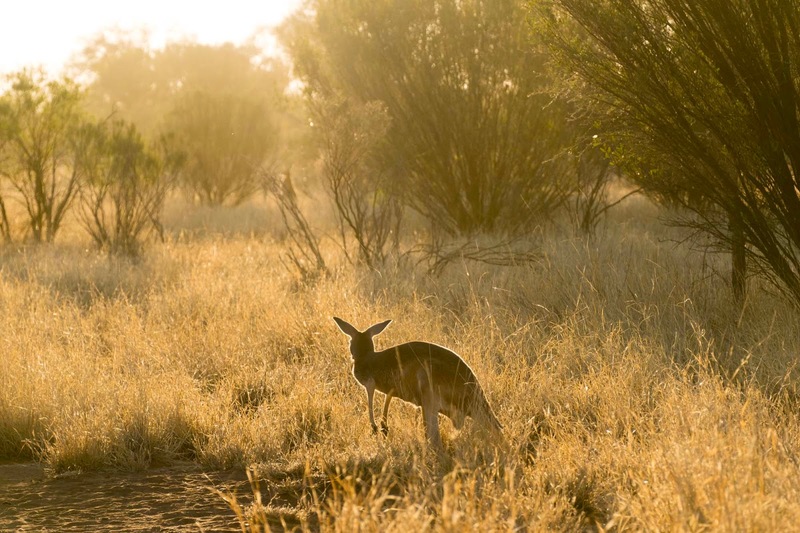 Our number one reason for visiting Alice Springs was to visit The Kangaroo Sanctuary. 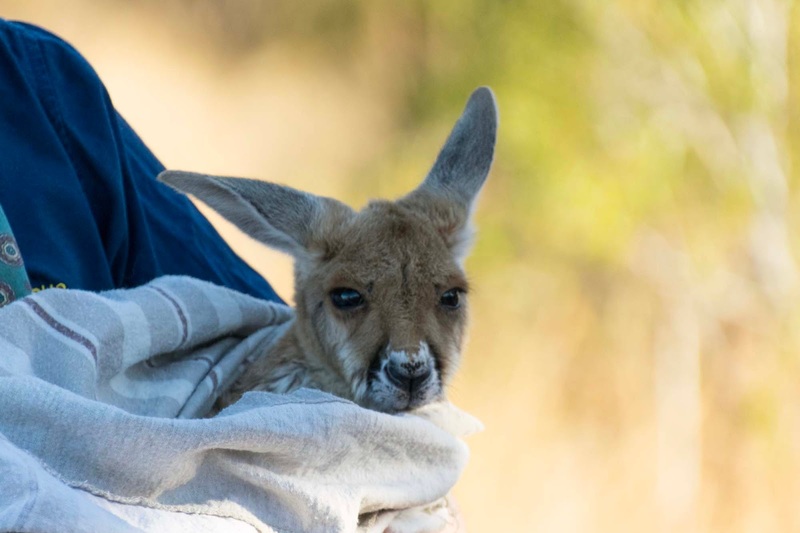 Home to some of the most adorable joeys and toughest red kangaroos you have ever seen. To find out more about our full experience, check out our complete post on The Kangaroo Sanctuary for all the gorgeous pictures and a guide to visiting this iconic attraction. Surrounding Alice Springs and stretching for miles across the land are the East and West MacDonnell Ranges, full of beautiful secluded freshwater swimming holes, hiking trails, incredible views, 4WD tracks and camping spots that make you feel like you’re at one with nature. Top highlights include Simpsons Gap, Ellery Creek Big Hole, Ormiston Gorge, Emily Gap and Standley Chasm. We definitely underestimated this region and didn’t leave enough time to explore everything the beautiful ranges had to offer. Make sure you leave yourself at least a few days and minimum 2-3 nights to explore the West MacDonnell Ranges alone. 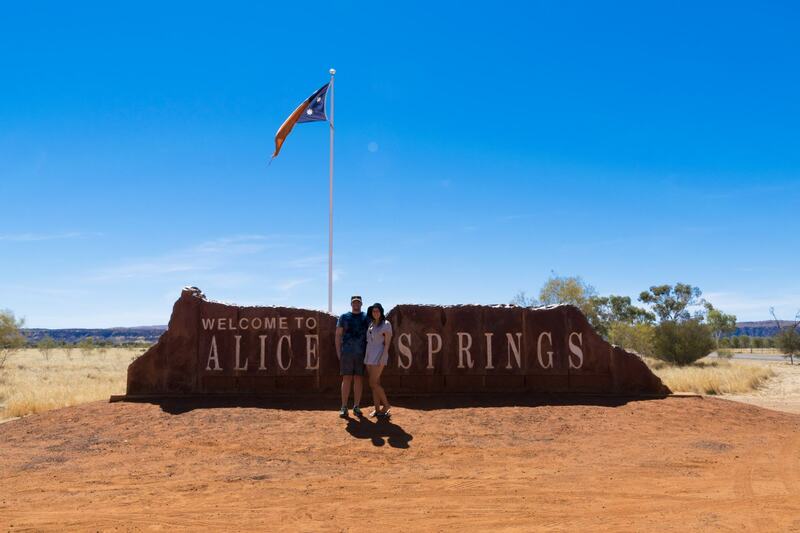 They’re top of our must-do list for the next time we’re in Alice! Beginning just outside the city centre of Alice, the Larapinta Trail has 12 sections that can be walked in parts or in full, with the full trail reaching 223km long. I don’t know about you, but I’m definitely not hiking for 223 kilometres! 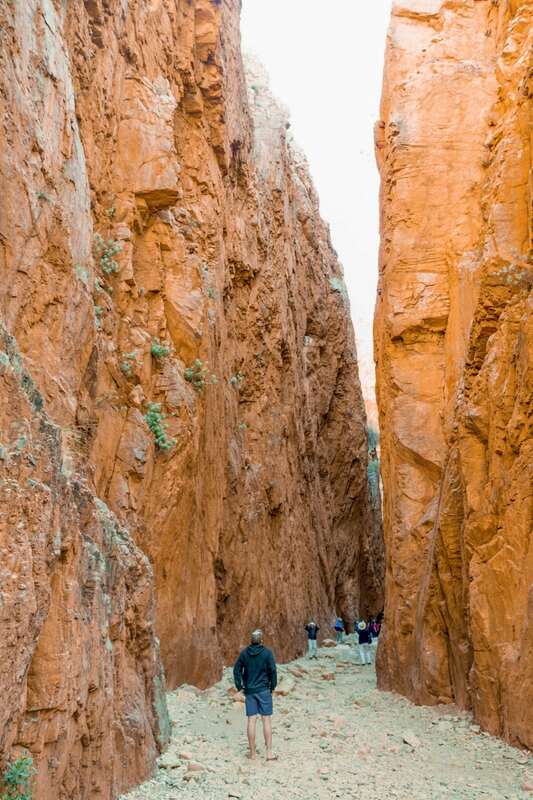 You can either try part of the walk by yourself, or several tour companies such as World Expeditions and Trek Larapinta offer guided multi-day walking adventures along the trail. The trail is lined with freshwater swimming holes, beautiful gorges and breathtaking mountain peaks, with different degrees of difficulty along the way. The best time of the year to take on the walk is May to August to avoid extreme heat and dehydration. 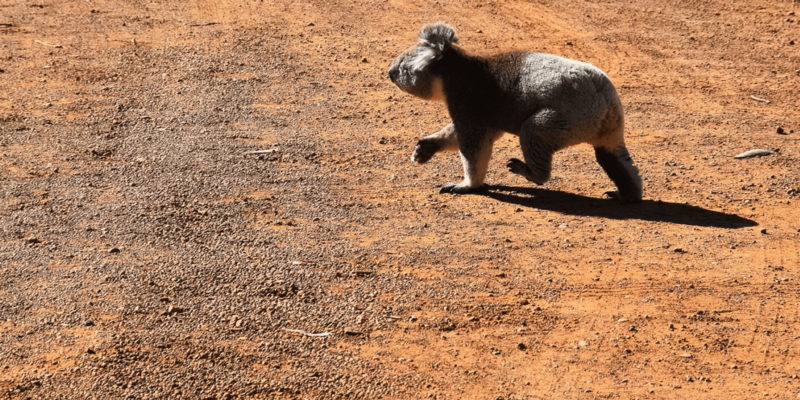 The Alice Springs Desert Park is an environmental education park teaching visitors about the native animals and plants that represent the barren environment of Central Australia. 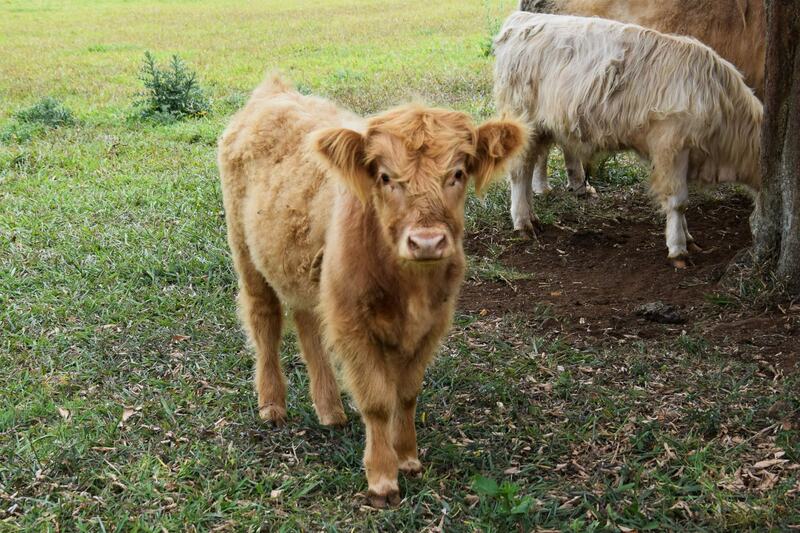 It is also a leader in conservation of this environment though research programs, as well as their public education. The Desert Park offers visitors a unique walk through several different environments, including desert rivers, sandy country and woodland. You might even have the chance to get up close to a thorny devil and a kangaroo or two. It has been found that Aboriginal art is the oldest ongoing art tradition in the world, with some rock carvings and ground designs dating back over 30,000 years! Traditional aboriginal artwork can be viewed in galleries all across Alice Springs, including the Papunya Tula Gallery, Araluen Arts Centre or the tiny galleries lining the pedestrian only strip of Todd Mall. Kings Canyon lies half way between Alice Springs and Uluru and is the perfect desert detour! The canyon is brimming with soaring red rock faces, overlooking palm forests below and is home to over 600 species of plants and animals, along with the Luritja Aboriginal people who have lived here for 20,000 years. 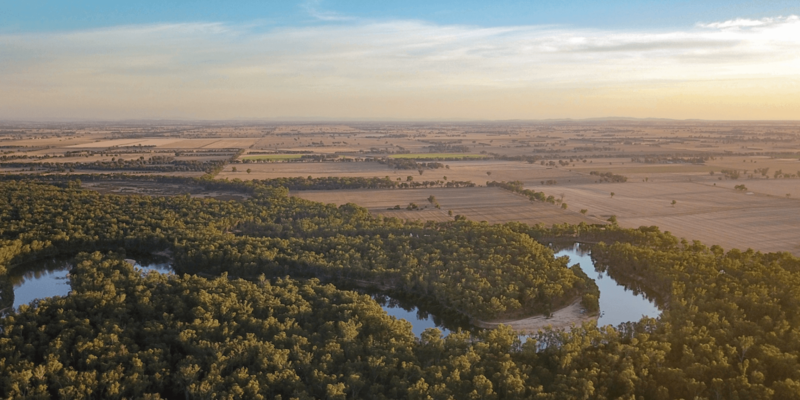 There are lots of different ways to experience Kings Canyon, including the popular Rim Walk (which takes 3-4 hours on a 6km track), or you can explore from the back of a camel, the heights of a helicopter or by quad bike. It’s a truly unique piece of Australia that shouldn’t be missed. Would any trip to Central Australia be complete without a trip to Uluru?! Alice Springs to Uluru is only a 4 – 5 hour road trip through the desert, so Alice is still a great base to explore Australia’s Red Centre. Uluru is a very special part of Australia and can be experienced every which way, from free camping to the ultimate luxury experience. And for the best views over Alice Springs, make sure you check out Anzac Hill. What else can you find in Alice Springs? Alice is the only real town in Central Australia, and definitely the only places you can find things like kmart, restaurant options and a shopping centre. In Alice Springs you can also find most major Australian banks, lots of ATMs and currency exchange. There’s a big Coles and Woolworths in the centre of town to stock up on food, supplies and snacks before you take off on the next leg of your journey, as well as auto stores if you need car supplies, a kmart, and lots of general stores you would find in a shopping centre. Alice Springs has severe alcohol restrictions, which can often come as quite a shock to visitors. In Alice you can only purchase take away alcohol (from bottle shops, etc) between 2pm and 9pm Monday to Friday and then 10am and 9pm on Saturdays. On Sunday you can only buy alcohol at the Todd Tavern Drive Thru or Gapview Hotel Drive Thru (both between 10am and 9pm). Additionally, you can only purchase one bottle of port, sherry or cask wine per person per day and only after 6pm. Something to keep in mind if you were hoping to stock up on drinks before continuing on your journey. For more information, a great place to learn more about Alice is the local tourist information centre. You can find the Central Australian Visitor Information Centre right next to the public library and you can grab a free copy of their magazine The CeNTral Visitors Guide.